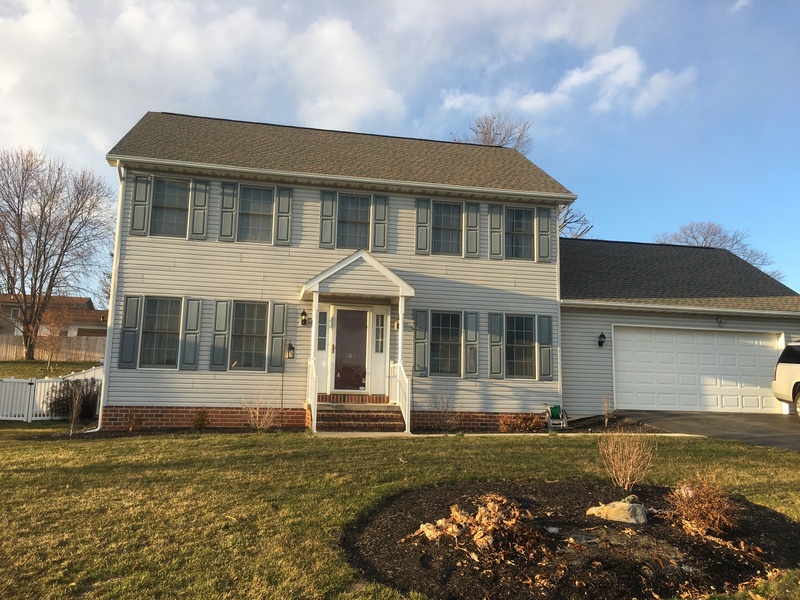 Problem: A sunroom in near Harrisburg PA A did not have heat or air conditioning. It could only be used six months out of the year. Solution: Installed a Carrier ductless heat and ductless air conditioning system. The room now has heat in the winter and stays cool during the warmest parts of the summer. Sunrooms are a valuable addition to any home. In the warm weather, you can enjoy the sunshine and breeze while still being indoors. And, it’s like getting another room without the considerable cost of adding a full addition. But, without proper heating and cooling, people only use them a few months out of the year. And, since they’re just enclosed patios, they are rarely connected to the house’s HVAC system. That was something homeowners in Carlisle PA, near Harrisburg PA, wanted to change about their sunroom. They wanted heat so they could use the room in the winter. But, adding ducts and venting would be very expensive. Fortunately, Todd Ranson of UGI Heating, Cooling & Plumbing was able to provide a better solution for them: a customized ductless HVAC system. By using ductless heat and air conditioning, Todd and the UGI HVAC team were able to give our homeowners the power of a central HVAC system. And, it came without the time and expense of adding to the home’s ductwork. 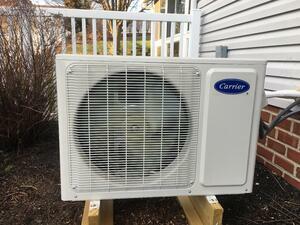 With ductless, the system provides heat or cool air using an outdoor compressor. It is similar to a condenser for a central ac system. Instead of ducts, however, the air travels through small, flexible plastic tubing. This is where the big difference comes in. Installers snake the tubing through the walls like electrical wire. They don’t even need to tear down any walls to put it in. And, they certainly don’t have to design, build and install ducts and vents. At the other end of the system are the ductless indoor head units. These are white, rectangular panels that installers mount high on a wall. The tubing connects to the back of it, so you only see the head unit itself. To make a sunroom, contractors simply build a room around the outside of a house. They don’t knock down an outer wall to make a full room. It’s more of an add-on. Because of this, the sunroom doesn’t get heating and cooling like the rest of the house. No ducts are leading to it. In places like central Pennsylvania, then, once it gets cold out the sunroom is unusable. Using a ductless panel system adds heat to the room during the winter months. And, like a central HVAC system, the panels and the outdoor unit can provide both heat and cool air. So, the system also works like air conditioning when it gets hot. 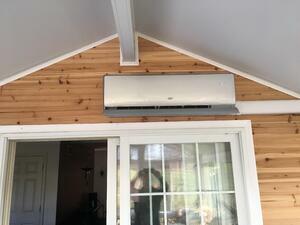 The ductless system adds more value to the sunroom. Before, the homeowners could really only use that room when the temperature was just right. At best, that was six months out of the year. Now, however, the room has proper climate control. The setup Todd designed makes it more like just another room in the house instead of a patio. And, that climate is easy to customize. Todd Ranson designed a new system with a thermostat on each ductless panel, creating a different “zone” for the sunroom. Our homeowners can set it to a different temperature from the rest of the house. There are benefits to a setup like this. In the winter, for instance, the sunroom may need more forced heat to keep it warm. That’s because it’s located outside of the house. It’s not as insulated as the rest of the rooms. If the heat in the sunroom was connected to the furnace, this could be a problem. The homeowners would have to crank up the heat for the whole house just to treat that one room. Other areas would get too hot. Instead, the panel works on its own to treat that zone. And, the opposite happens in the summer. The run room won’t get as warm as the rest of the house since air can pass through easily. So, it won’t need as much air conditioning like the rest of the house. Therefore, the panel doesn’t use nearly as much energy to do the job. And, the homeowners may not want it as cold as the rest of the house. After all, the idea of the sunroom is to get fresh air. So, they can set it to a different temperature than the rest of the house. Now that our homeowners are added heating and cooling to another room in their home, they can expect their energy bills to rise a little. But, with a ductless system, they won’t go up nearly as much as with other solutions. There are few reasons for this. As a result, they’re using less energy than if they treated it whenever the rest of the house was using the central system. And, since they’re paying for that energy on their monthly electric bill, using less means spending less. Next, the ductless system is just more efficient than other solutions. The panels use much less energy than, say, window air conditioners or space heaters. Both these solutions would cost much more to run, and they wouldn’t work as well. Now, our homeowners are happy with their new ductless panels. They’re whisper-quiet and don’t cost much to run. And, they were quick and easy to install. 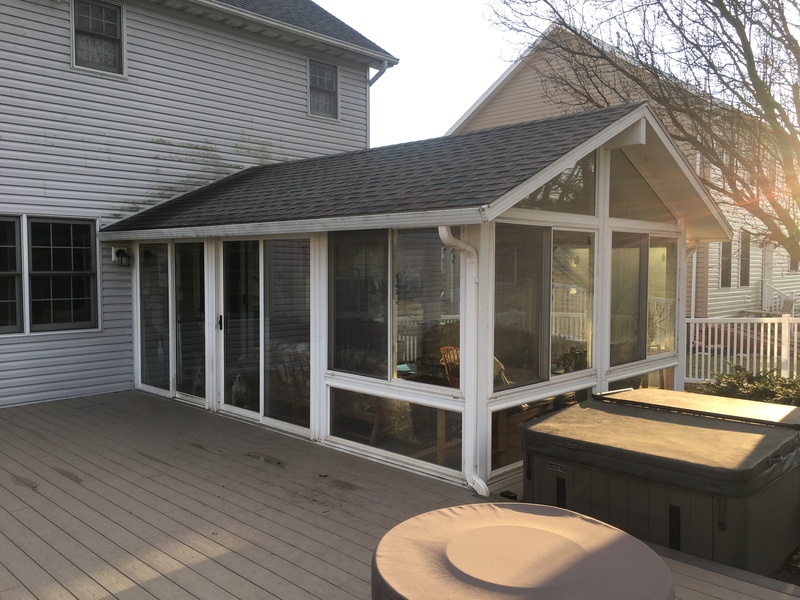 In just one day, we transformed this home’s sunroom something they could use just a few months out of the year to an extra room whenever they want it. Do you want a better and more cost-effective and efficient option for heating and cooling your home? Contact us, and we'll design the perfect solution for you!